Physics is a course that is relevant not only to the fields of science and engineering, but also is highly regarded in the many areas of commerce and public service that value problem-solving and practical skills. All the technology that surrounds us is based on the principles of physics, so if you are considering working in any area related to technology, from music to medicine, or lasers to law, studying physics is an excellent first step. Physics is more than a subject – it trains your brain to think beyond boundaries and apply logical processes. Within RSD at all levels in Physics each topic studied will be tested at the end of each topic and in examination settings in December/ January and June. There will be systematic assessment throughout each topic to help identify and enable improvement opportunities prior to testing. Comprehensive revision resources will also be provided to support examination preparation. At RSD we currently follow the CCEA GCSE specification. Pupils can choose to study Physics either as a component of Double Award Science or as a standalone GCSE. Many practical activities are embedded across the range of Year 11 & 12 topics as preparation for the practical examination. Pupils will sit the actual GCSE at the end of Year 12 where there will be a Unit 1 paper (Year 11 work), a unit 2 paper and a practical examination. Y12 visit Armagh Planetarium each year to explore ‘The Mystery of the Christmas Star’ and Year 11 also avail of opportunities that support the specification such as ‘The Physics of martial Arts’. At RSD we currently follow the CCEA specification. In the AS units pupils focus on forces, energy and electricity in AS1 and waves, photons and astronomy in AS2. Pupils carry out many class practicals and also independent practicals throughout the course, both to support theoretical learning and in preparation for the practical examination. Pupils will complete 3 written examinations: AS(1), AS(2) and a Data Analysis paper along with a Practical examination in May/ June. In Year 13 there is also the opportunity to take part in an Engineering opportunity alongside Sentinus, Mallaghan Engineering and University of Ulster or QUB. Usually 10 pupils take part in this and all have historically achieved the prestigious Gold Crest Award. Pupils also have the opportunity to attend Civilisation Belfast, run by QUB Engineering Department. In the A2 units pupils focus on deformation of solids, thermal physics, circular motion, oscillations and atomic and nuclear Physics in A2(1); and fields, capacitors and particle Physics in A2(2). They investigate the deformation of solids under the action of a force and consider important engineering consequences. Students use the kinetic model to explain the behaviour of gases. They also undertake a practical investigation of the concept of heat capacity and one aspect of heat flow. They explore atomic and nuclear physics and study models and the instability of nuclides, leading to important social and economic considerations for modern society. 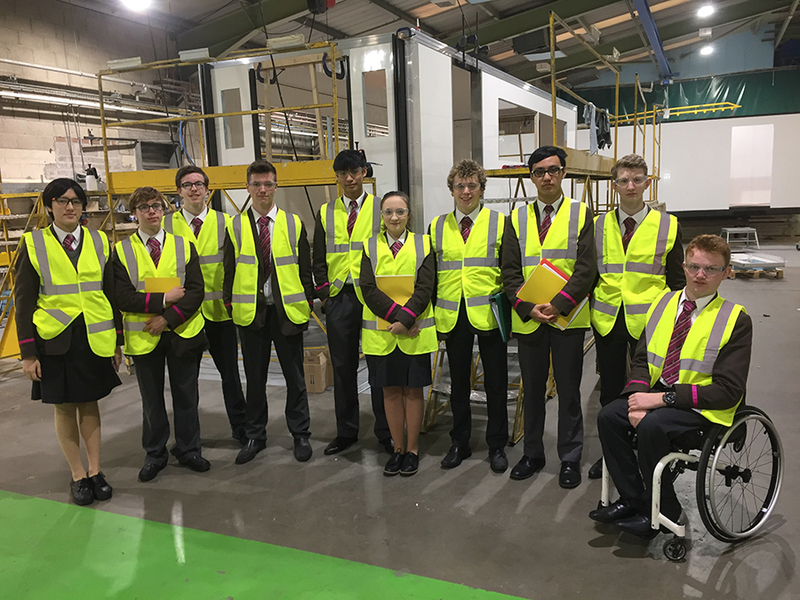 As with AS Physics, pupils carry out many class and independent practicals throughout the course, both to support theoretical learning and in preparation for the practical examination. Pupils will complete 3 written examinations: A2(1), A2(2) and a Data Analysis paper along with a Practical examination in May/ June. On Monday 15th & Tuesday 16th January, pupils in the R & D teams went to University of Ulster, Jordanstown to work on the residential component of their individual projects: reducing waste in saw processes. 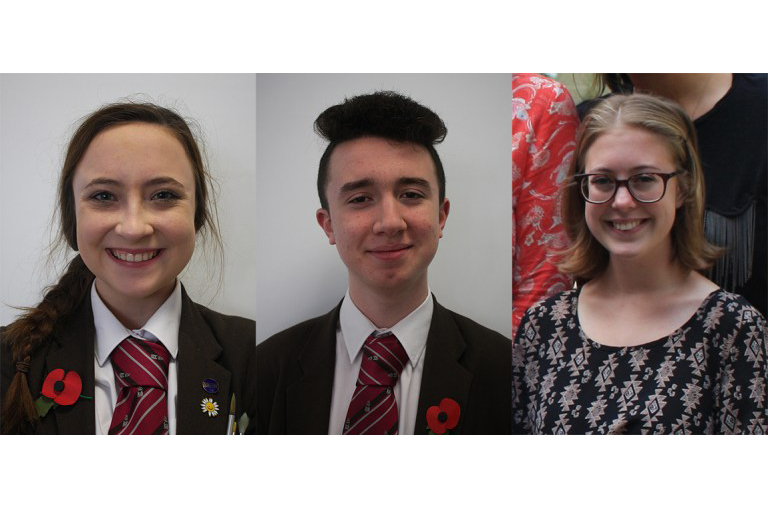 Congratulations to our top achieving pupils at GCSE and A Level, for the following results in their examinations from summer 2017. 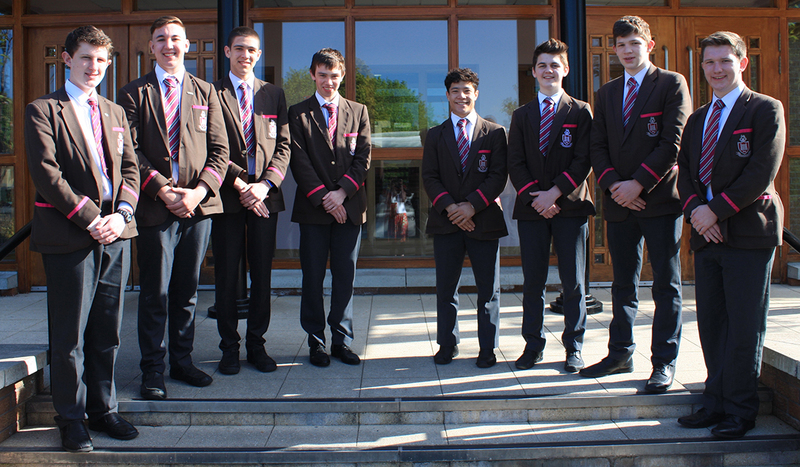 Two groups of four AS Level Physics students were mentored through an engineering research and development problem for the past six months by Mallaghan Engineering.